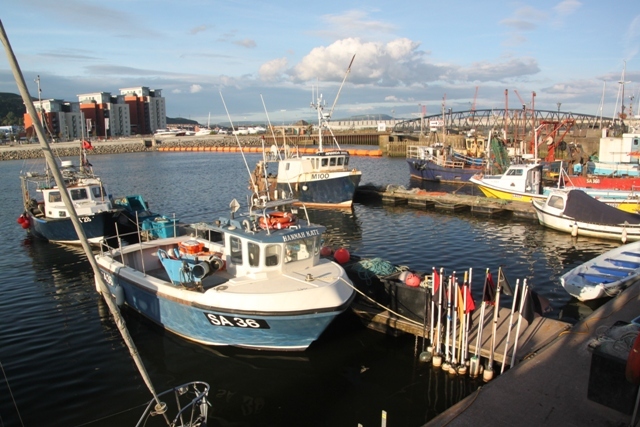 Swansea is not your typical tourist hot-spot but with a location framed by hills and nestling in a sheltered bay you wonder why not. Add to that a sweeping waterfront leading on to Mumbles and the Gower Peninsula and it gets even better. We last visited Swansea years ago when Son was pre-school age. I remember a glorious morning on the beach at Mumbles and a couple of days exploring the breath-taking beaches, cliffs and scenery that is the Gower Peninsula. This time (unfortunately) due to time constraints we couldn’t repeat that fabulous experience. On the plus side though it did give us time to take in all Swansea had to offer. 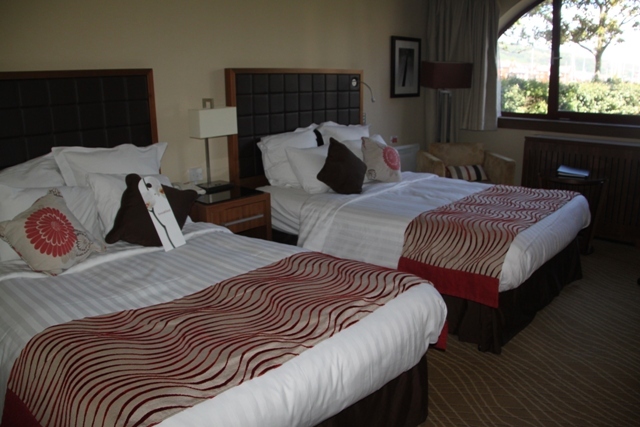 A trawl through the last minute booking websites we unearthed a reasonable deal for the Marriott. The clincher was the description “convenient for the Maritime Quarter.” Great location but the whole place was somewhat stuck in a 1980’s time warp – from the exterior to the corridors to the room itself. Looking back though I fear I am being too picky maybe – our room was spotlessly clean and comfortable for sure, it just lacked the wow factor. In hindsight our posh pad in Cardiff the previous evening probably spoiled us. We were allocated a disabled room on the ground floor. Nice enough but alarms and call buttons everywhere meant I was on heightened alert with Son who was drawn to all these like a magnet. Add to that a bathroom full of aides – masquerading as climbing apparatus to him and tension levels (mine) were high. We felt also a fraction uneasy about denying someone else these facilities who might need them. Husband enquired at reception about moving rooms, they were dismissive and none too interested so we stayed put. 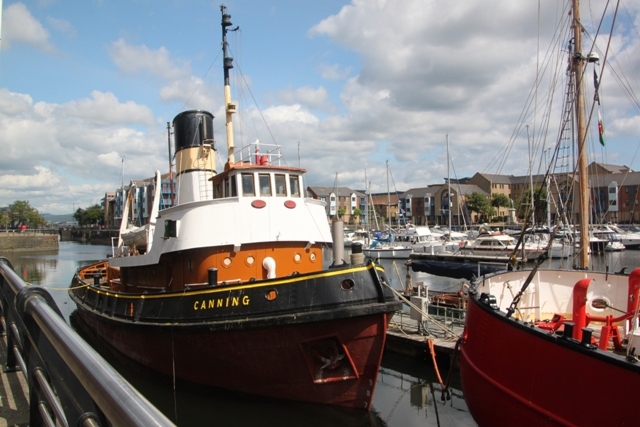 The Maritime Quarter is great for strolling – not quite the buzz of Cardiff but quiet, peaceful and lovely. 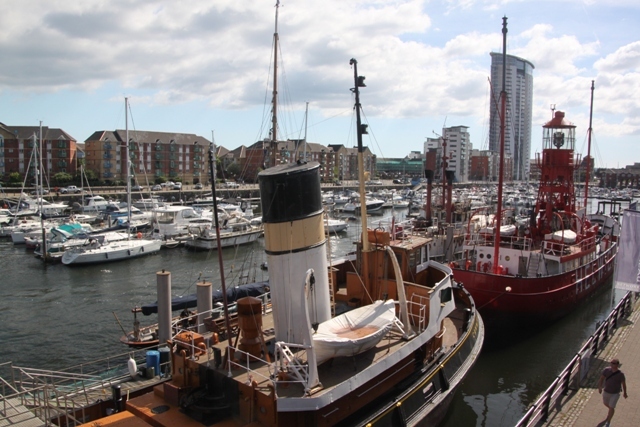 Loads of interesting boats to look at and views galore. A lot of empty shop units and a scarcity of eating/drinking establishments made me think someone must be missing a trick here. Such a lovely setting, surely people would flock here to eat. After exploring the outer reaches of the marina and checking out some great fishing boats hunger was rearing its head. We struggled somewhat to find an (open) restaurant, eventually found one lone Spanish place – very nice – then refreshed and refuelled we had one last look at all those boats. Great post! Maritime Quarter is gorgeous, right up my street. My sister has been to Swansea loads, I must join her next time!! The Maritime Quarter is really pretty – we loved strolling around there in the day and the evening! Loads to see, it’s a beautiful spot. One of the only reasons I was ever up in Swansea was because I had family up there and was visiting them for Christmas. Their apartment gave over the little marina so it was really the perfect view to wake up to! And did love the cliffs as well, although most of the time we were there, it was during winter so had to deal with that cold “chill” as well. The apartment sounds gorgeous – those views everyday would be something special! Luckily we were there last summer and the sun shone the whole time. Winter – I can imagine that chill!! Oh I was pretty stressed in that room Rosemary – the thought of alarms sounding and people coming running brought me out in a cold sweat. My son was drawn to all that stuff like a magnet, it wasn’t the most relaxing night ever!! 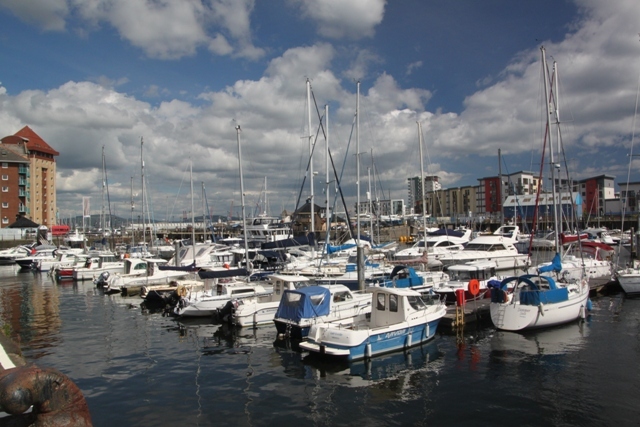 The marina in Swansea is really nice – perfect for a stroll, we enjoyed our stay there. I remember Winston as well from one of your earlier posts – a cutie!! Hope you enjoy your weekend too. Thanks Joy Winston will be so pleased you remember him! He’s in my bad books today as he somehow kept setting off the alarm to the house even though I was at home – he would have run amok in that hotel room! I can understand how stressful that night would have been especially now I’ve got a 2 year old granddaughter!! I hope to visit Wales one day and your reviews and posts have been such a help. It’s almost like having my own personal travel consultant. Thank you again, Joy. Oh you definitely should go to Wales George – it’s beautiful. This was a taste of the south – the scenery in the north is very different – dramatic and also stunning! I just noticed that you were pretty lucky with the weather. We had blue skies and glorious sunshine – not always guaranteed here but we struck it lucky Erika!! Have a great weekend. Thank you. Have a great weekend yourself! 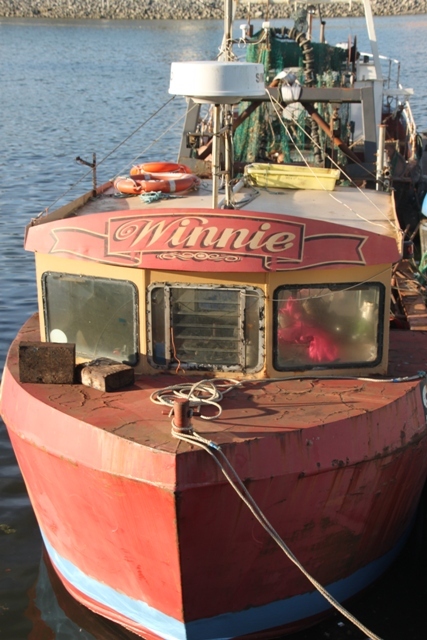 Love the boat photos – you caught just the right light! 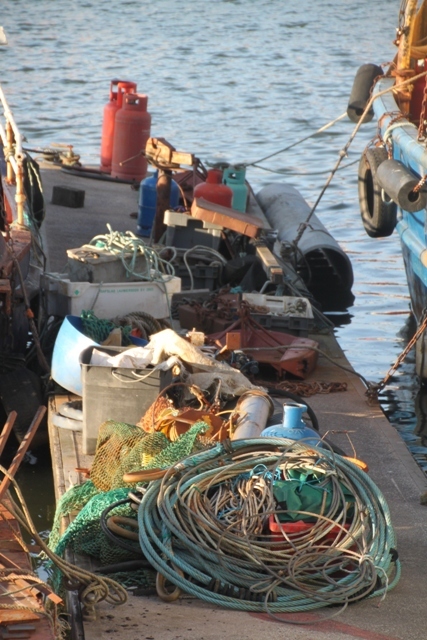 I have a soft sot for fishing boats too – must be the coastal living. Have a lovely weekend – looking forward to more stories of adventure! 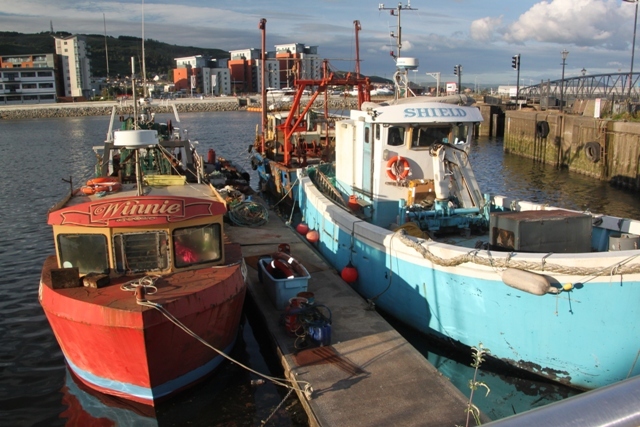 There’s just something about boats isn’t there (especially fishing boats) – they just draw you in!! Hope your weekend is a fun one too! It’s really a pretty place and your photos are great! Thanks Meg – we had a great time – sunshine helped too!! looks fun! Now I want to visit! It was!! A lovely place – definitely recommend! Joy, your post is informative and beautiful! Thank you Pam!! Have a lovely weekend. Not a place you’d find if you were seeking out UK highlights probably but we really enjoyed exploring and mooching around the harbour – so pretty!! I love planning – maybe a bit too much – so be my guest!! Thank you so much for the mention and link!! Have a great weekend. It was a while ago I was in Wales and I don’t remember if I saw Swansea or not! It does look lovely and maybe if it was too touristy it would lose its charm. But not being able to find a restaurant would certainly put a damper on the experience for me! Yes the restaurant thing was a bit of an issue for us – we were surprised too that this whole area as it’s so lovely wouldn’t have a wealth of eating establishments and little bars. Still…. we enjoyed Swansea restaurant issue aside, it’s got a lot going for it! Never thought of it but rooms for disabled people must be a nightmare especially with toddlers! Lucky I never experienced that and now u know I should try to avoid them in tge future too! Definitely steer clear is my advice!! Even though we don’t have a toddler it all seemed to act like a magnet – temptation to pull or push the alarms was very strong!! When we stayed in the Mumbles and Gower Peninsula we never explored Swansea as there was still so much to see around us that we never ventured back into town. 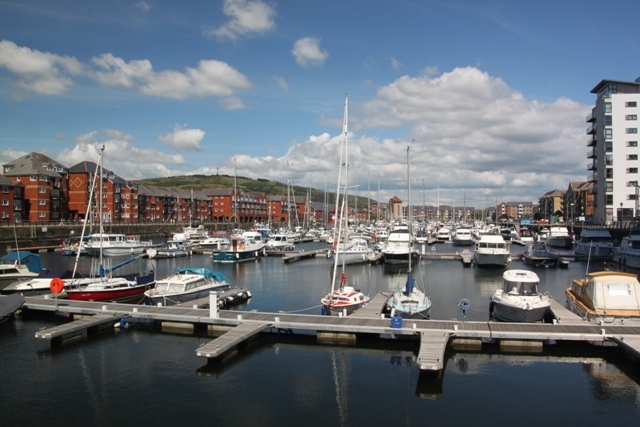 But judging from your photos – the marina looks like such a lovely place to stroll. It’s such a shame that there are lots of empty shop units. 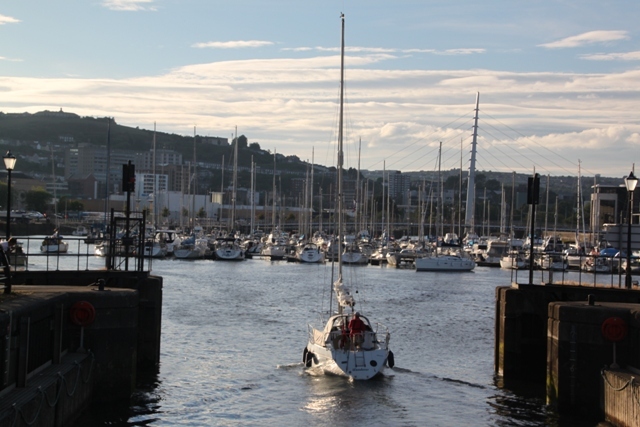 Loved the marina area – can’t understand though why there were so many empty places! You would think this would be a real draw for people. I can totally understand why Mumbles and Gower filled up your time – both are just gorgeous. I was disappointed we didn’t have time for either of them on this trip. 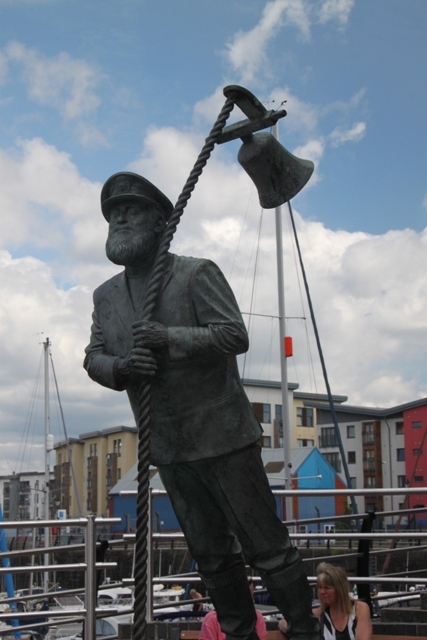 Next time…..
Our visit was combined with work – so just a flying visit really. But there is plenty to see and do – some gorgeous beaches and lovely scenery along the Gower Peninsula especially which is very close to Swansea. Totally agree – a few years ago we used Swansea as a base and explored the Gower Peninsula, it is just stunning. Unfortunately we didn’t have enough time this trip, would love to do that again though. Thank you so much for the lovely mention! !